Scientists estimate that of 7,000 languages in the world, half will be gone by the end of this century. THE LINGUISTS joins David Harrison and Gregory Anderson, scientists racing to document languages on the verge of extinction. 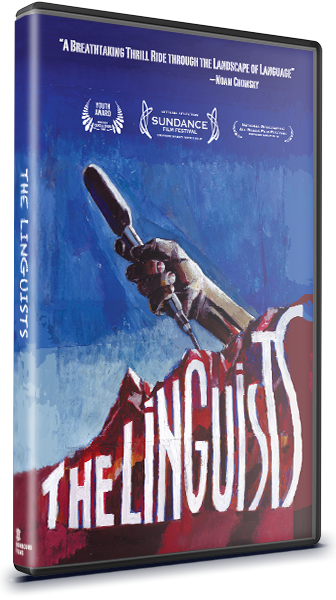 In the rugged landscapes of Siberia, India, and Bolivia, the linguists’ resolve is tested by the very forces stifling languages: institutionalized racism and violent economic unrest. David and Greg’s journey takes them deep into the heart of the cultures, knowledge, and communities at stake. COST INCLUDES ONGOING PUBLIC PERFORMANCE RIGHTS AND TEACHER'S GUIDE(S). Questions? Prefer to pay by check or credit card but not through PayPal? Need a pro-forma invoice that includes a PO number? Email info@ironboundfilms.com, call (845) 424-3700, 10AM–5PM ET, or fax (845) 424-3753. Please note that prepayment is required. Ironbound Films’ mailing address is PO Box 441, Garrison, NY 10524-0441.